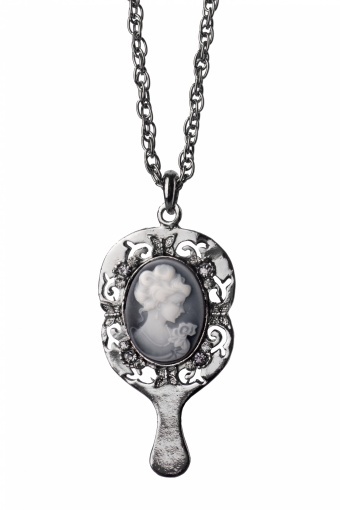 40s Sweet Victorian Cameo Mirror necklace. 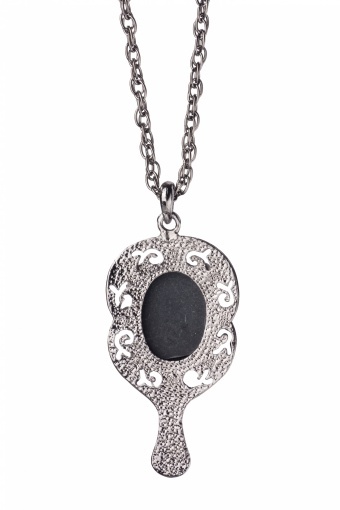 Beautiful long necklace with a pendant shaped as a ledies mirror. The material is coated in anthracite for a very special effect. The edge of the mirror is partly cut out and partly decorated with little butterflies and grey strass. 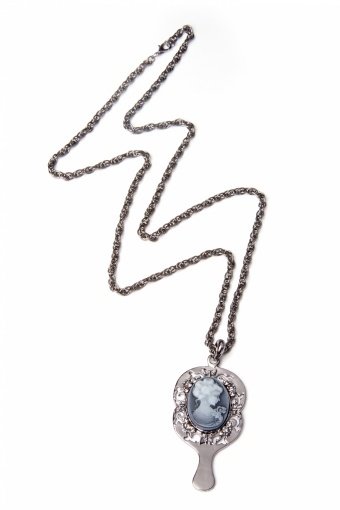 In the middle a grey and white coloured cameo. Very special.